*Scaling Options will be on the whiteboard when you come in. Most of the squatting we naturally do involves going slightly slower on the way down than on the way up. During our tempo back squats today, we are overemphasizing the time on the way down and the time spent in the bottom. 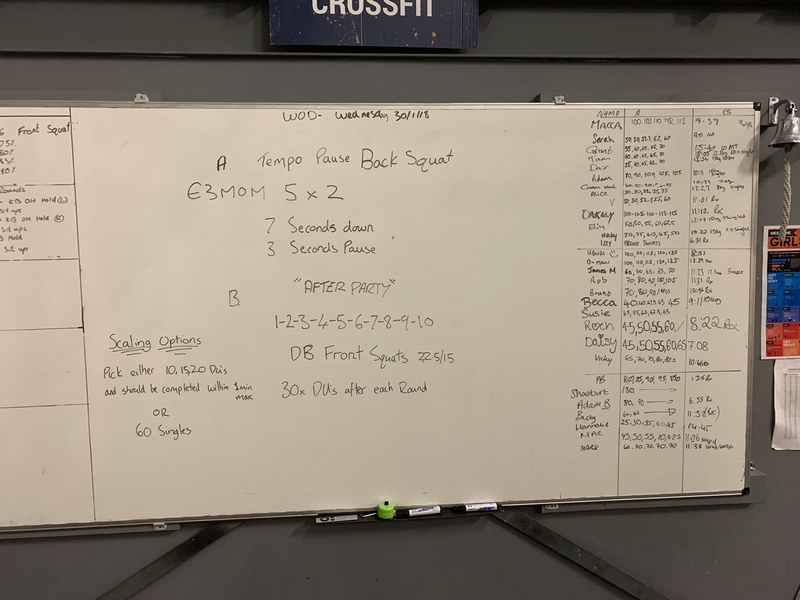 While this is never something we’d do within an actual workout, tempos and pauses enable athletes to develop more strength and awareness of their positioning. Are my knees where they should be? Are my heels on the ground? Is my foot caving in? Did I get low enough? Is my core working? Controlling each rep is where great strength, great positioning, and great habits are built.